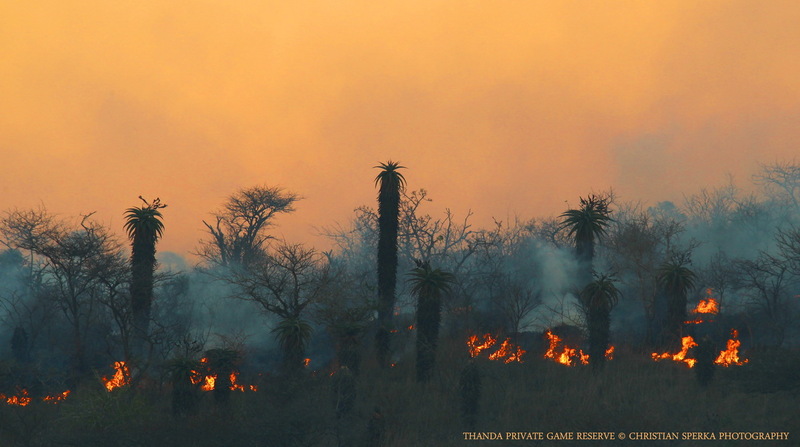 Just before the rainy season starts Thanda reserve management is helping the bushveld to rejuvenate by burning some parts of the reserve which have very long dry grass left from the winter season. These controlled burns – only started at the correct weather conditions – prepare the ground for new grass to grow and help to prevent bush encroachment from unwanted tree and bush species. 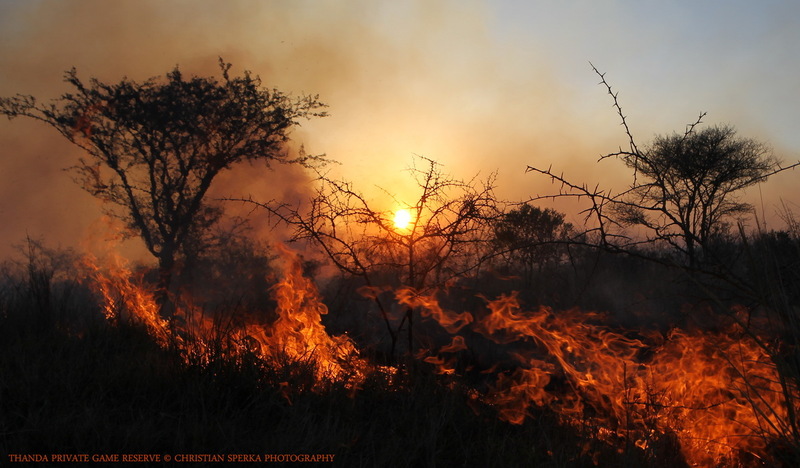 These fires also help to eliminate alien plants which threaten the indigenous vegetation and are often of no food-value or are even harmful to animals. The pictures were taken at sunset on one of the burning days – a pretty hot photo shoot! ← Follow us now on Instagram! Aw Christian, my usual complaint, you never put enough pictures on your blogs 😦 I hope the fire didn’t burn those beautiful Aloe Marlothii?